Los Angeles, CA: Like many personal injury lawyers, Kate Gillespie started her career a few years ago working for the other side. Then about 18 months ago, she joined Baum, Hedlund, Aristei & Goldman, one of the biggest personal injury and wrongful death firms in California. “I found my home here, and fighting the good fight. It is nice to be doing plaintiffs work and knowing who I am working for,” says Gillespie speaking from her office early one morning in Los Angeles. She is part of a team of the firm’s litigators focusing on drug injury law, in particular, GlaxoSmithKline’s (GSK), widely used antidepressant, Paxil (paroxetine), which has been connected to suicidal tendencies in both teenagers and adults, and more recently birth defects in newborns. Paxil is one of a group of drugs, known as SSRIs, or selective serotonin reuptake inhibitors. According to GSK and other SSRI manufacturers, the drug is supposed to regulate naturally occurring serotonin levels in the brain. “We all go through ups and down and doctors were being told that was a cure all, and they believed it, only to find out that the results of the studies by GlaxoSmithKline (GSK) don’t actually prove that Paxil is effective or safe,” argues Gillespie. When it comes to handling SSRI antidepressant litigation, Gillespie’s firm, has extensive experience in litigating personal injury, wrongful death and consumer class action cases against major drug companies. The firm has been litigating against GlaxoSmithKline, the maker of Paxil and other pharmaceutical companies for more than 20 years. The firm also has a reputation for breaking new ground in these cases. Baum, Hedlund, Aristei & Goldman (including Gillespie) is currently representing about 200 families whose children were born with defects ranging from congenital heart defects to persistent pulmonary hypertension (PPHN), a life threatening condition that occurs soon after birth. In all the cases, women used Paxil or different antidepressant before and during their pregnancy. Baum Hedlund initiated its investigation of Paxil-induced birth defects based on information they found in documents GSK produced for the suicide cases. Since then, Baum Hedlund has been joined by several other firms that are jointly litigating the birth defects cases around the country. Most of the cardiac defects observed in studies related to Paxil range from septal defects to complete deformation of the heart. Paxil has also been associated with other birth defects, including cranial and abdominal defects, as well as neural tube malformations, more commonly recognized as spina bifida and anencephaly. None of the families that Gillespie represents are yet in the trial stage. “Our cases are strictly in the discovery stages, so we are in the information, or evidence, gathering stage at this point.” says Gillespie. While Gillespie’s cases primarily focus on Paxil and its manufacturer GlaxoSmithKline (GSK), issues related to birth defects and SSRIs are not limited to that particular drug. Just two years ago, the FDA issued a health advisory for Celexa, Fluvoxamine, Lexapro, Prozac and Zoloft, based on a study that suggested there might be additional risks associated with SSRI medications during pregnancy. Some of the heart defects can be repaired, but the surgery is expensive and dangerous, and several surgeries may be required. LAS: If they took Paxil during pregnancy, their antennae should go up? 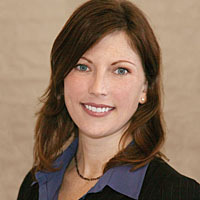 Kate Gillespie is an associate attorney at Baum, Hedlund, Aristei & Goldman in Los Angeles. She earned a B.S. in Psychology at the University of Oregon and her law degree from Loyola Law School, Los Angeles. Her practice focuses on the firm’s drug product liability cases and class action cases. She was recently added to the list of the Southern California Super Lawyers list of Rising Stars.